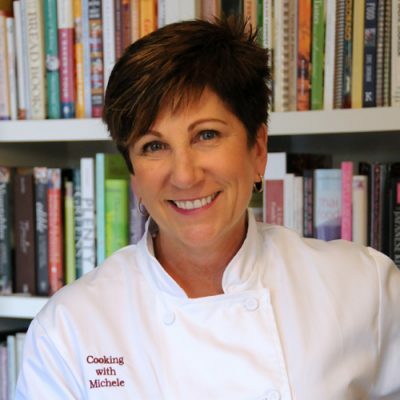 I’m sure by now you can write the first line of this post for me: ” I’m really not much of a baker…” But if there is one thing I know how to do and do well, it’s make tarts. 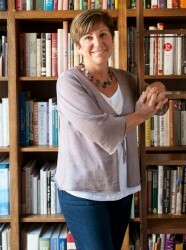 First requirement is a removable bottom tart pan – I like an 11″ – more servings than a 9″! It starts with a good crust – and for those of you who think that part is hard, I assure you it isn’t. 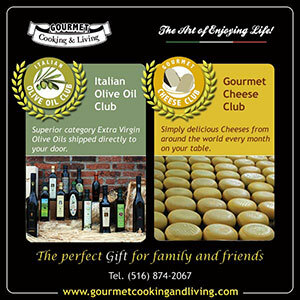 Just remember 12, 8, 4 – that’s 12 ounces of flour, 8 ounces of butter, and 4 ounces of water (or really up to 4 ounces of water because on a humid day the crust will come together before you drizzle all of that in). 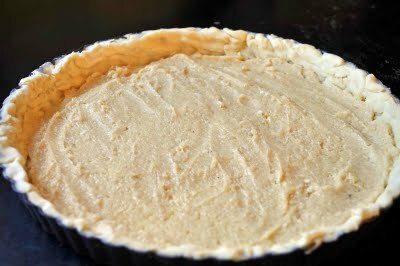 I also put in one or two teaspoons of vinegar into the water – it helps tenderize the crust. And the secret to a flaky crust? Don’t over mix it – you want small (pea size) pieces of butter still in the dough which will melt in the oven, give off steam, and create flaky layers. Next comes frangipane – a French mixture of almond flour, eggs, sugar, butter, flour and rum flavoring. 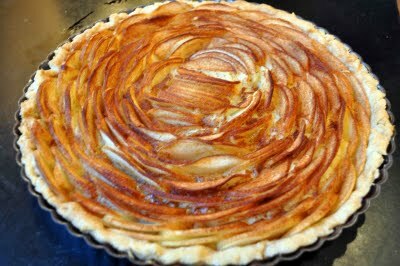 I can’t imagine apple pie without it, and I make a big batch of it and freeze so that I always have it around should I need it for a tart. Now there are two ways to layer in the apples – one is quick and easy. Just core, peel and quarter the apples and layer them around in a circle like this. 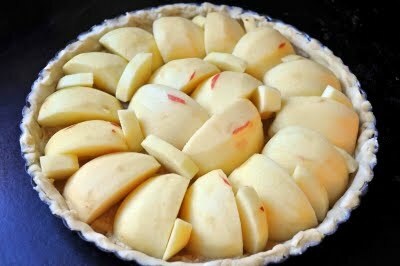 I take some small pieces and tuck in wherever I see holes since the apples will shrink as they cook. Slather on some melted butter then sprinkle with cinnamon sugar and you’re ready to bake. Now if you want to be fancy, either pull out your best knife skills or a mandoline, but an apple in half, then slice that half into very thin pieces. Only slice one apple at a time so they don’t turn brown (I keep the peeled apples in a bowl of water with lemon juice while I’m working on the tart regardless of which apple layout I’m using.) Start on the outside and place the apple pieces upright (curved outside part on the top), overlapping each one by a third. Continue working your way around the tart, moving into the center with each circle of apples… …until you have the whole thing filled and it looks like a flower. I know this looks tedious, but once you get going it really isn’t bad. 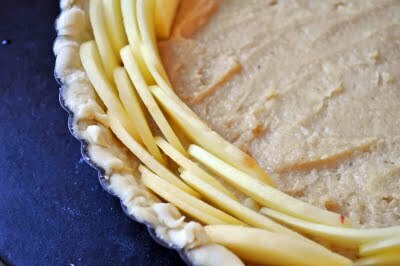 Take pieces of apple and push them into any cracks that look too large so that you don’t have a sparse tart when they shrink. Top with butter and cinnamon sugar just like the version above. Here’s what the first one looks like cooked. And here’s what the second one looks like cooked. And while this second one may look fancier, I assure you they both taste equally great! Preheat oven to 375Â°. 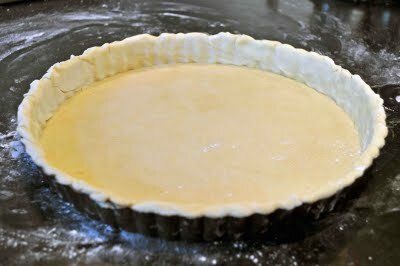 Gently spread frangipane across bottom of tart crust. 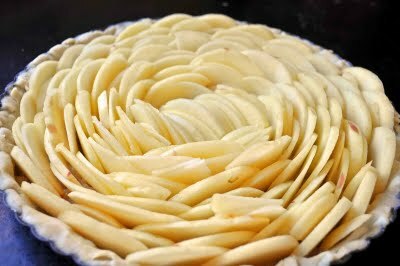 Starting at the outside, place thin apple slices perpendicular to the bottom, arranging slices of apple in a flower pattern over the frangipane. 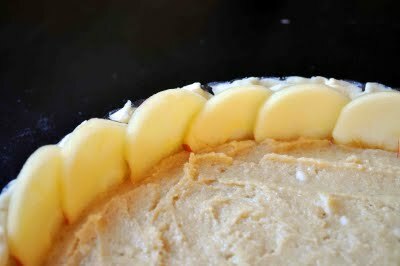 Work in a circle, continuing to add slices until you reach the middle of the tart. (Alternatively, quarter apples and place in slightly overlapping concentric circles.) 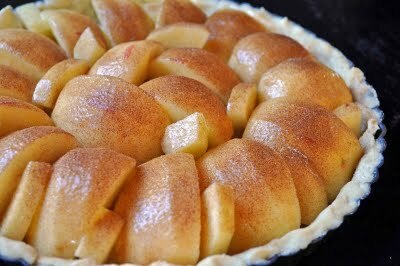 Drizzle melted butter over the apples, then dust with cinnamon sugar. 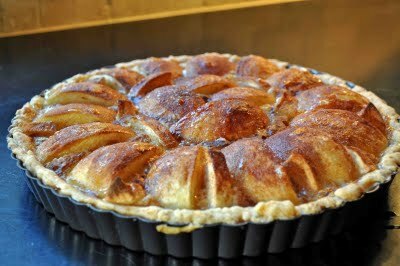 Bake until crust is a deep golden brown and apples are cooked through, about 45 minutes to and hour. Remove from oven and let cool slightly before serving.